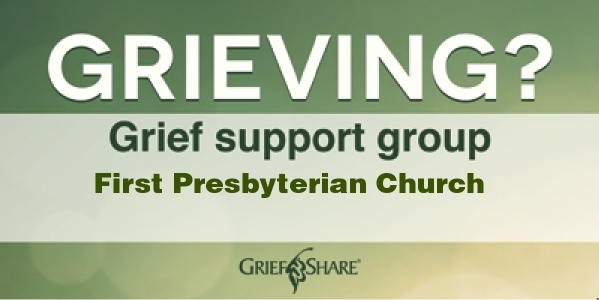 Find help by attending our weekly Grief Share meetings at First Presbyterian Church, 700 Park Avenue, Florence, SC 29501. 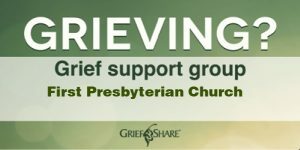 You’ll find it to be a warm, caring environment, and you will come to see your group as an “oasis” on your journey through grief. Starting August 27, meetings will be held every Monday from 6:30 to 8:30 p.m. in Room 104 for 13 weeks. Books will be available for $20 at the meetings. You can begin attending meetings at any time. Room 104 is located off the Welcome Center.